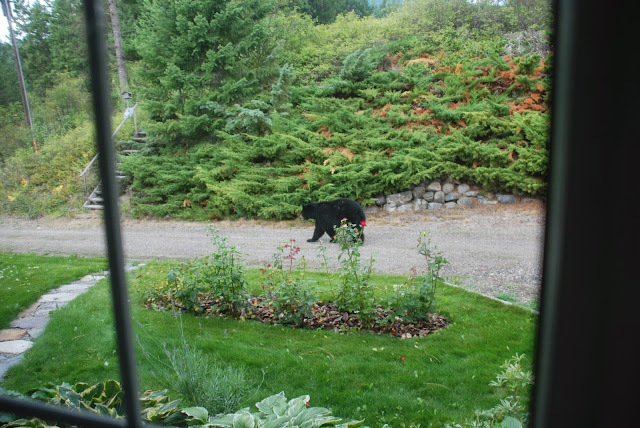 I was getting dressed to go out, when Murray suddenly yelled for me to come to the window... a black bear was strutting down our drive. Mur quickly grabbed his camera for a shot - it's not something we see every day! 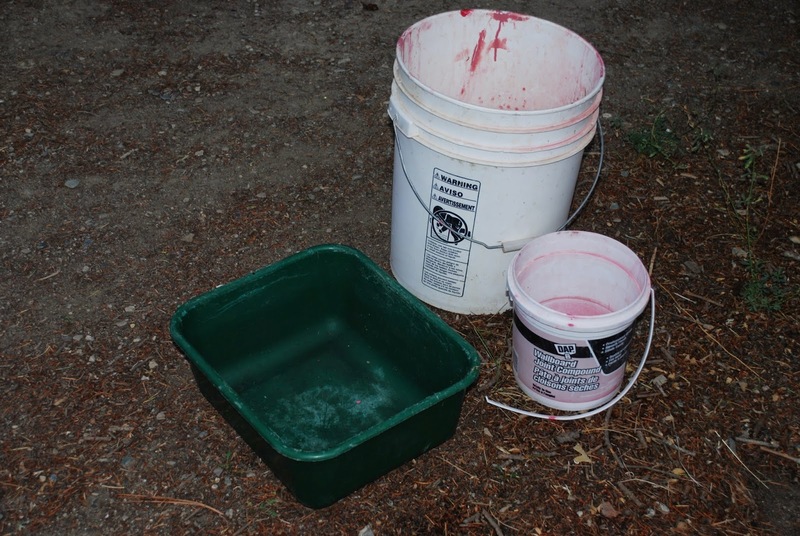 Who could have thought that a few buckets and a old disused sink pan could be so much fun? Thanks again for stopping by at my blog, it's always such a pleasure to read your comments! And yes, Ava is growing so fast and become more and more a little lady. I love your video of the bear, I truly enjoyed it! He really seemed to have a hay day with that old dish pan and buckets, hilarious! Great that your camera was able to capture it. It's still so hot and sunny over here (about 30 C), I am guessing your are still having pretty hot weather too. What a summer we've had, eh? It's supposed to turn around after weekend and become quite wet and only about 18 C.